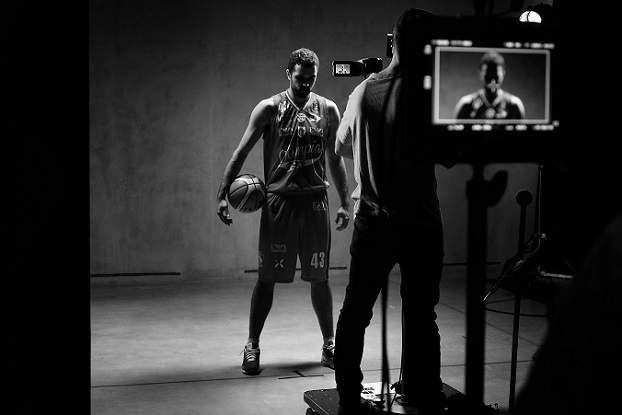 Before the Olimpia Milano vs Panathinaikos Athens Euroleague fixture at the Mediolanum Forum recently, a new short film was premiered. Set in the Armani/Silos, the exhibition space inaugurated last year on the occasion of the celebrations marking the 40th year of Giorgio Armani’s career, the film marks the decision to extend the closing date of Emotions of the Athletic Body, the exhibition curated by the designer showcasing photographs dedicated to sport. Featuring members of the Olimpia Milano basketball team, the film shows what happens at the Armani/Silos after dark. Discover the secret at armanisilos.com Emotions of the Athletic Body at Armani/Silos supports Special Olympics Italia.